Evelyn (Jackson) Clark, 89, of Willow Valley Communities, passed away December 19, 2017 at Lakeside at Willow Valley. Born in West Chester, PA, she was the daughter of the late John C. and Bertha (Steele) Jackson. 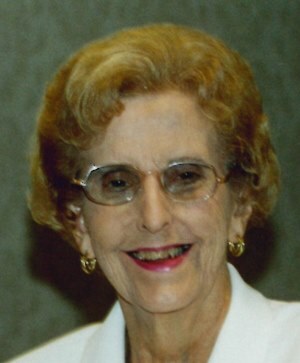 Evelyn was the loving wife of the late James R. Clark, who died January, 2011. A graduate of West Chester University, she taught as a music teacher for a total of 39 years in various school districts, including Killeen, Texas (while Jim served in the U.S. Army,) Salisbury Township, Oxford Area and Octorara Area. She was a long time member of First United Methodist Church in Lancaster where her activities included directing the Carol Choir in the late 1950’s and early 1960’s, member of the Chancel and Hand Bell Choirs; member of Church Council, United Methodist Women, Stephen Ministries volunteer and communion steward. Evelyn served as organist at Cochranville United Methodist Church and Kennett Square Presbyterian Church and directed the choir at Killeen United Methodist Church in Texas and in Cochranville United Methodist Church. She taught private piano, organ and voice lessons. She is survived by her daughter, Kimberly A., wife of Roger Evans of Strasburg, PA and her son, James Michael, companion Kimberly Cook of Gap, PA; four grandchildren, Dylan and Brooke Evans, and Olivia and Madison Clark; a brother, William Jackson of Cochranville PA and a sister, Marie Dolinger of Camp Hill, PA. She was predeceased by a brother, Donald Jackson. Relatives and friends are respectfully invited to attend a funeral from DeBord Snyder Funeral Home and Crematory, 141 E. Orange St., Lancaster, PA 17602 on Saturday, December 23, 2017 at 11:00 A.M. with the Rev. Joseph DiPaolo officiating. Friends may call at the funeral home Saturday from 10:00 A.M. until the time of service. Interment will be in Strasburg Mennonite Cemetery. Our sincere sympathies to all the Clark family. Kim, I believe I had Dylan and Brooke in my SS two year old class? I sang with your Mother in Chancel choir for years. She was a dear, sweet gal! Although it’s a part of life, it’s never easy losing our parents/grandparents, especially during the Holy Season. Please know, our thoughts and prayers are with all the family. Be blessed. So sorry for your loss. I will pray for all of you That God send his angels to watch over you and comfort you through your grieve.